Well, as I earlier mentioned, have been waiting and waiting for the plastic bodied Makala Dolphins to make their way into UK stock. These are highly regarded cheap as chips instruments, that many report got that little bit better since Kala decided to mould the back and sides in one piece polycarbonate. Highly Strung, Wantage, had them in stock ( Click Here ) and I ordered - arrived today - in red burst finish (red with some sort of black smudgy bits that I do quite like). Also available on Amazon most of the time too if you prefer. Before I go on any further, please note - this is a £25 instrument. That's right a £25 instrument - half the price of some video games. Really really cheap. You have seen me rally on before about how cheap instruments can be more of a hindrance to the beginner than anything else. I play instruments in the £150+ bracket - so why would I want one of these? Well I read good things about the Makala, so thought I'd give it a go - if it was playable, it will become by beater, travel uke to sling in the car! It arrived in lovely condition - no real finish flaws - few marks on the side of the neck, but again, this is a £25 instrument (I am gonna keep repeating that!!!). The finish is very glossy and looks quite deep. Frets are finished in brass colour. Bridge (in a dolphin shape) is a dark rosewood type of wood, as is the fingerboard (which I think is just wood, stained). The top is laminate wood, and has a simple white painted rosette around soundhole. Cant see the join between wood top and plastic sides at all. Neck joint is similarly clean. Really like the look of the back of the uke - the plastic body is slightly bowed out - I like different things like that. Have tried to take a pic (but not too easy to show). Makala logo is on headstock in silver. The tuners are open backed, cheap geared tuners. Note though, they have nice small tuner buttons - something you don't always get on cheap instruments where makers raid the parts bin - they put on guitar tuners which are heavy, and make the uke look like Mickey Mouse. Nice plus that. Tuners are tight and work OK. Nut and bridge appear plastic. Arrived strung with cheap black nylon strings. These were immediately changed to standard soprano strings from Aquila - the word on the street is that the aquilas really drive the wood top on these ukes well. Why change them? Well, this is a £25 instrument - don't expect miracles on the string provision!! All strung up, and strings stretched, and away we go. 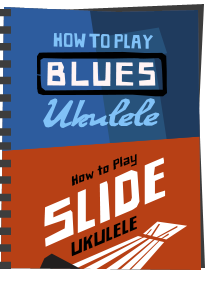 To hold, the uke is nice and balanced, and light. The intonation really is spot on - all over the neck, and I have checked it with a digital tuner - for £25, that is pretty amazing. Really nice harmonic chime if I strum a barre across the 12th and 7th frets - cor! For £25?? Bridge saddle height seems fine, and action is just how I like it. Finish at the nut was a bit scruffy, and I may think about ever so slightly (ever ever so slightly) lowering the nut slots. But honestly - the action is fine, as is the tuning. Cant complain. Sound is bright and fun - given a more vigorous strum, it really projects quite a bit of volume - not as loud as my Flea, but louder than any other cheap uke I have played. It actually sounds quite sweet too with the aquilas. Very easy to play, fret, hold etc. So do I recommend it, and what for? 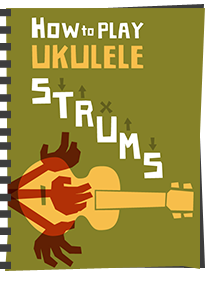 I would also recommend it to more seasoned players like me as a beater uke for taking places I wouldn't take my expensive instruments (camping for example) - it seems perfect for that. So give them a look - For £25 (there, I said it again) I really don't think you can afford NOT to buy one!! Would Aquila concert strings sound better than Soprano strings on this? Thanks, looking at the Aquila site the concert strings are marginally thicker than sopranos. Hope your wrist gets better soon. I like your review. I'm the proud owner of a Kala spruce-top tenor, and just ordered a bright-yellow Dolphin from MusicGuyMic. I'm excited for it to show up. I really thought about a Flea, but the Makala was a lot cheaper. How do you like the sound and playability of the two (as a comparison)? I will eventually get a Flea, but for now my Makala will suffice. John, thanks. I must be honest, the flea wins on sound and quality in every way. Louder, sweeter, more accurate, nicer feel. But, that's besides the point, the flea is a hundred quid (or more) than the dolphin and the dolphin isn't ten times worse. The dolphins are stunning. Playing gigs or on beach etc I play my dolphin more than my flea! I bought two Kala Makala Ukulele's from Amazon. The actual vendor was musiciselementary. I got a white one and a black one. I immediately put Martin fluorocarbon's on both ukes. The black one sounds like my Kohala which I started with but the white one sounds awesome. I can't figure the difference. The black one also has paint falling off and the fretboard looks ugly. I emailed the vendor to see if he can switch it out. It buzzes on the first string as well (when it is fretted). the white makala sounds a lot better and does not buzz. The white Makala is truly beautiful. The black one is no better than what I had. just ordered mine. tried highly strung but they didnt have black. 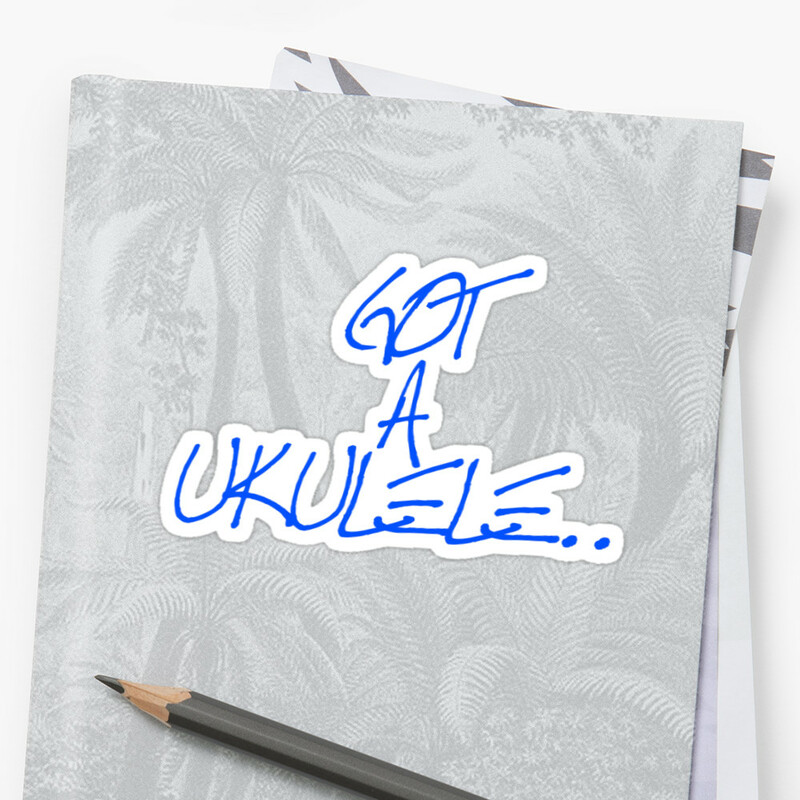 searched arround and finally found one at ukelele hut £24.99 with the postage included, and it was the last one. he told me they have been extremely popular. now to practice when im cleaning windows which will get changed to when im watching cameras. im a cctv operator. well its an honest job and great for a nosey parker. oh were just dropping off to sleep after 12 hour night shift when the post man arrived. and yes it was my black sparkly dolphin. im to excited to go back to sleep yet. it looks beautifull as for the soung its totally different to my old uke, which is a very cheap burswood and my daughters mahalo. it blows them out of the water and i havnt changed the strings to the aquillas yet. 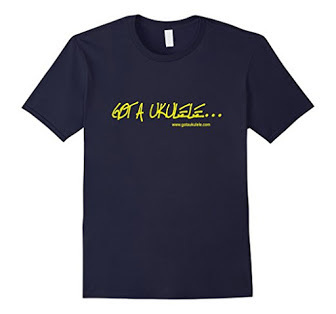 as for the service i recived from ukelele hut that was also first class. im like a kid with a new toy which is a great feeling at 45. I'd like to buy one but the Wantage shop if out of stock. Wonder if there is another shop ? Give Highly Strung a call - they are supremely helpful - if they cant get one, they wont promise you one then let you down - great store. I wanted the blue one!! Yes, I agree with the post above. Do you know the next time they will be in stock? hi Barry just ordered a makala dolphin in dark blue, when i spoke to the guy he said they were all wood, i was hoping for a plastic back model like yours, is there any difference with these two models? Richard - the wooden ones do sound a little different, but are still way way above the competition at the same price. That said, i have found dealers dont have a clue whether they are plastic or not - you can tell when it arrives - look in soundhole - its kind of a creamy mushroom sandy colour if its plastic. The sound board is wood. Where did you buy it? Mini review of the Makala Dolphin, ok, i have been a uke player for 10 days, i was given a lazy uke by a friend, i have never played a musical instrument in my life, so i started learning my chords on this lazy uke, and fair play to my inexperienced ears and clumsy finger techniques it was fine and i amazed myself by learning to play twinkle twinkle after 5 days albeit poorly. About 5 days ago i decided to buy a makala dolphin because of this review and a couple of reviews on youtube, these ukes are virtually sold out in the UK, but i managed to find one on the net, it arrived yesterday from shadesmusic, it is the dark blue sparkly one and yes Barry it does have the plastic back (thanx for explaining how to identify these). Ok tuned it up and yes the strings on it are not good (aquila's waiting to go on) there were a few bits around the edge of it where the paint had rubbed off, but generally the deep sparkly finish was bloody lovely, then i started practising my chords....Well all i can say is OH MY GOD, the sound of this cheap little uke was amazing it was loud and resonated for much longer than my lazy and it sounds absolutely fantastic, this has greatly enhanced my uke playing already and i am loving this baby, now to try the daunting issue of changing my strings to the aquila's. Thanx for all the advice Barry, you certainly know your stuff. Good review Baz! I have owned a plastic backed Makala 'Dolphin'for about eighteen months now, and as a 'go anywhere' uke it is superb! Almost impervious to harm,at the price,and good intonation,bright sound,all round the perfect 'beater' uke that most players have around! Hi where did you buy it for £25 ... everywhere I go its for £35 and above! Ah, sorry - this post written three years ago! Took your word as gospel and ordered one from Highly Strung. Nigel there was very helpful and got one to me the very next day - what brilliant service. As you said, everything about the ukulele is spot on, intonation, tuning etc. and I couldn't have been more pleased. 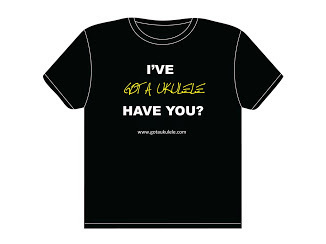 And talk about the other end of the market I've also ordered a concert uke from one of your other review subjects - D J Morgan up in the Midlands, should be finished the end of August. Looking forward to that somewhat. Thanks a lot for your very knowledgeable reviews and the information that you impart to us novices - keep 'em coming. Two great extremes! And Nigel at HS is indeed a real gem! My 6yo daughter has one in pink and it sounds great, especially if you're looking for the typical bright uke sound. 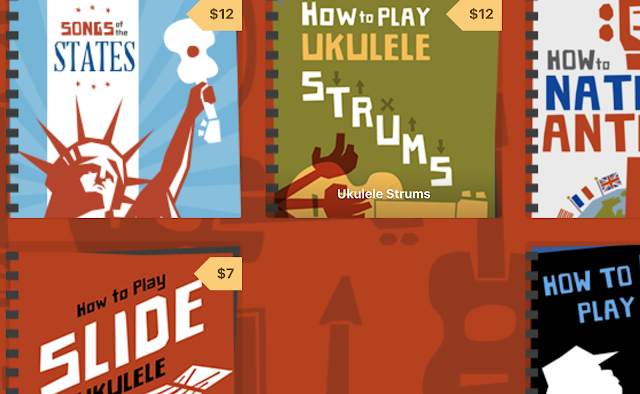 I've never played a ukulele before but wanted to learn so after reading your review (very informative and helpful) I bought an Orange Burst Makala Dolphin and a set of Aquilla strings from Highly Strung. It arrived very quickly and when I opened the box I had to smile ..... this little uke is like sunshine with strings ! I replaced the standard black strings with the Aquillas (thanks also for the "how to change uke strings video") and it sounds brilliant even in my total novice hands. So looking forward to learning to play. I recently bought a red Makala Dolphin as a total newbie to playing the ukulele! I picked a Makala Dolphin after reading some great reviews. I simply love my little uke! It is indeed sunshine with strings - and I'm still playing on the original set of strings even though I bought of set of Aquilla to put on it. Just haven't found the time or felt the need to change them out yet. 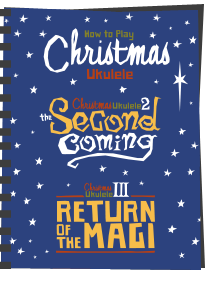 This is a great ukulele for beginners or even more experienced players - beautiful, pleasing to the ear and very portable! My sister and I are new to ukulele madness (inspired by our BIL). We each have beginner-level tenors and recently bought matching red Dolphins for 35US on Amazon - we're having fun with them - they came with Aquila strings, and add two more votes to the go-for-a-Dolphin side. I created padded bags made from old blue jeans and I'll be traveling from Kentucky to Kansas to play 'lil red ukes' with my sister! Are these equal to the Makala Sharks? I have a whole stable of Dolphin Ukes, and had a couple of Sharks as well. I'm not as crazy about the Sharks - the pectoral fin is very sharp and scratched me. Although they are identical to the Dolphins in every say except the bridge and colors, I gave both away. The Dolphins, however, are extraordinary! They easy outpace most of my ukes, including several that cost 4 times as much. I prefer Martin fluorocarbons on mine, but this is a matter of preference. Some of mine have ribbing bracing on the interior, some do not. I'm not sure which came first, and I don't know when they changed from wood body to plastic - would love to know these tidbits, as well as how to date them (someone said there was a code in the serial number indicating month and year, but that doesn't work - I have an old brown Dolphin numbered 28. I know that sometime in mid to late 2016 Makala began shipping them with Aquila strings as standard. Thanks for another great review, Barry - I don't buy new brands of ukes without checking here first! Got one of the Makala Shark models, identical with the Dolphin but for bridge shape and paint (Shark is not glossy). Sold and set up by Uke Republic in USA. The Aquilas lacked crispness/brightness to me (although YMMV, and with cheapies, expect differences from sample to sample). Put on Martin M600s and after a week or two of settling in and stretching, like them a lot better. Still not real bright (I like bright sopranos), but bright enough to live with. Actually sounds pretty good for a USD 50 instrument. Also ... and I hear this is typical ... pleasant and easy to play. In other Q and A's and Youtube comments you have recommended this as a good beginner uke, and yet this is not one of your bold-type choices. Does that mean that if I got this and liked playing, I would outgrow it too quickly? Hi, thank you for responding on my comment yesterday. I'm actually looking for a camping/beach/woods uke (tent: no trailer, no car). Does it hold up well in humidity/temperature changes and potential dirt or would a waterman be better choice for this purpose? My first uke; thanks for your helpful advice. Our discussion helped me pick out a blue Dolphin. It came with the good strings (Aquila) attached already and as an instrument I like the sound. Compared to the Dolphin in your blog, this one has the dolphin bridge created from a lighter wood, and it no longer has decoration surrounding the soundhole. Also the included bag is a drawstring sack similar to what I've seen in youtube demos for the waterman.